There is generally a great cultural component to knowledge and science, upon which peoples develop a sense of superiority. There are struggles first to appropriate the new ideas into a new setting, and then, to deny (or ignore) the uniqueness of the culture that produced it. This process is often seen in the Western (American, at least) historical pedagogy that basically skips from Greece and Rome to the colonial era, with a nod in the direction of the Dark Ages that preceded the Reformation and Renaissance. But our Dark Ages were a period of great Arab advancement, and the rediscovery of Greek thought was translated through the scholars of the then-dominant Muslim civilization. I’m not sure how much education has changed since I was in school, but this is a theme generally left to the specialists at university level or beyond. There were those, like the journalist, philosopher and social reformer Shibli Shumayyil (1853–1917), who welcomed Darwinism and, more specifically, the theory of spontaneous generation as reinforcing the materialist case against Islam. Yet there were also apologists who, like Abduh, claimed that Islam was more compatible with science than Christianity, since Islam was less burdened with excess theological baggage and superstition. Beyond that there were those, like al-Afghani (eventually), who held that not only had Darwin and his allies and rivals come to the right conclusions, but that Muslim Arabs beat them to it. The Kitab al-Hayawan (“Book of Animals”) by the ninth-century Basran essayist al-Jahiz was often compared to The Origin of Species, and al-Mazhar cited al-Jahiz’s account of how two varieties of dung beetles copulated to produce a third kind as prefiguring Darwin. The tenth-century Syrian poet Abu al-‘Ala al-Ma‘arri was another imaginary ancestor of evolutionary theory and Afghani cited a verse of Ma‘arri’s referring to the transformation of minerals into plants and plants into animals as evidence of this. As far as Afghani was concerned, Darwin had merely recycled ancient ideas about evolution. 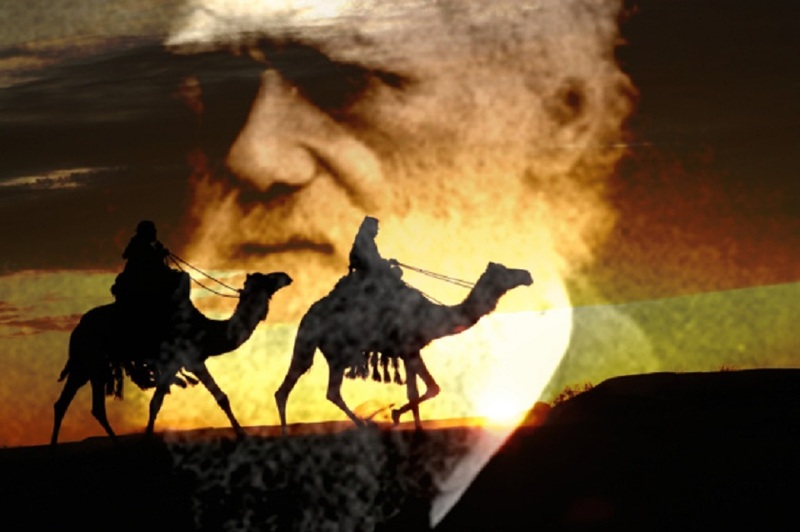 … The quest for Arab precursors of Darwinism was not solely or even mainly a matter of cultural pride, for there was also a need to make Darwinism more acceptable by inserting it into a familiar cultural tradition. Muslim polemicists against Darwinism gratefully borrowed the Protestant theologian William Paley’s analogy of a watch found abandoned on a beach, since the intricate design of such an instrument surely argued irrefutably for a designer. … As Elshakry notes, enthusiasm for Darwin and his followers fell away after the Second World War and that enthusiasm turned to outright hostility from around 1970 onwards. The reasons for this lie beyond the scope of Reading Darwin in Arabic. Perhaps the intellectual prestige of the British declined as their empire was dismembered. Perhaps Muslim scholars took their lead from American creationists. The rise of a militant political Islam may also have been a factor. In my years in the Arab world, I have never engaged anyone over evolution at the scientific level, basically because I have not known many scientists. But at a cultural level I have never found it to be an animating issue. Most have just shrugged it off, either dismissing the idea as antithetical to Qur’anic creationism, or with an general sense that all the West has produced in science has precursors in the Qur’an. A good number have argued passionately about the ‘scientific miracle’ of the Qur’an (whether for, against, or moderating evolutionary ideas), while a few have identified positively with the prevailing views of the scientific community in favor. Maybe these imprecise percentages would be similar to the views of religious conservatives in America? The difference would be that a literal reading of the Qur’an is used in both directions, for and against evolution. The pro-evolution category of Muslim literalism believes that the scripture is a book of science; that the mind of God produced it and revealed secrets which make sense only centuries later. Muslims generally believe the Qur’an is unmediated by man, and therefore Muhammad and his cultural setting do not need to be decoded to understand the message. Mankind just needs to advance sufficiently to comprehend what is already there, and sometimes non-Muslims do so first. A literal reading of the Bible, however, is generally only employed against evolution and in defense of creationism. These maintain a similar idea of the Bible as a science book, or at least trustworthy in its historical and scientific offerings, properly understood. But even the idea of ‘properly understood’ reveals the Christian distinctive vis-a-vis Islam that human and cultural factors influence the Biblical text and our understanding, without giving up the doctrine of God’s inspiration. Christians, then, who accept evolutionary ideas in part or in full do so with Biblical fidelity to ideas like intelligent design, granting theological truth and divine inspiration to the creation account, without literal acceptance of a seven-day historical sequence. The spectrum, and perhaps slippery slope, in which this and similar accommodations is acceptable is greatly debated. Abduh, above, hints at the larger doctrinal issues at stake. There is much we can learn from each other, from science, from God. In all, humility is necessary, for no learning can take place without it.